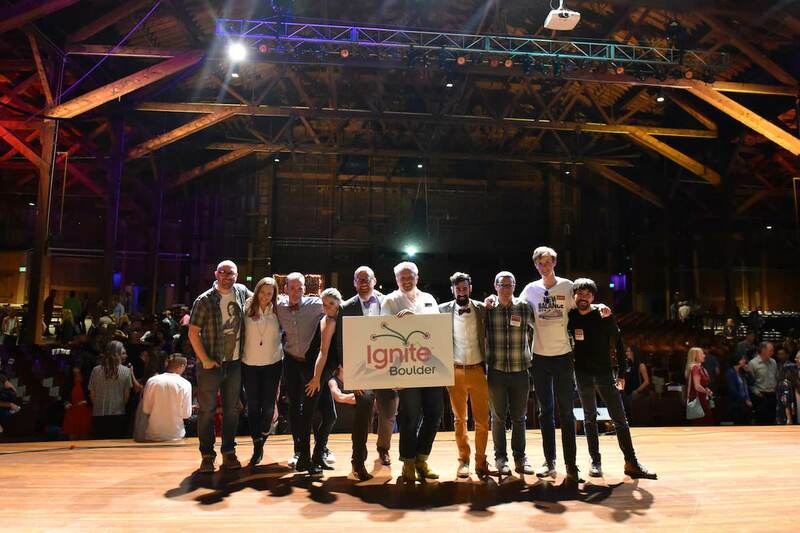 Thanks for checking out Ignite Boulder! We are a volunteer-run geek event that puts on startlingly fun nights. The ticket gets you in and makes sure we have a namebadge and seat for you. Our glorious sponsors help us make it happen – their logos can be seen on the right side of this page. (Feel free to give them a click to learn more about them!) There are quite a few costs associated with putting on an event this large (our audience ranges from 850 to 1,350, depending on which venue we are rocking). We have no plans to raise the price for future events. $15 sounds reasonable, so we’re sticking with that. Can’t afford it or rather barter for your goods? Drop us a line and we can maybe have you volunteer for your ticket! We only have a limited number of volunteer spots available for each event. Contact john@igniteboulder.com for more details. 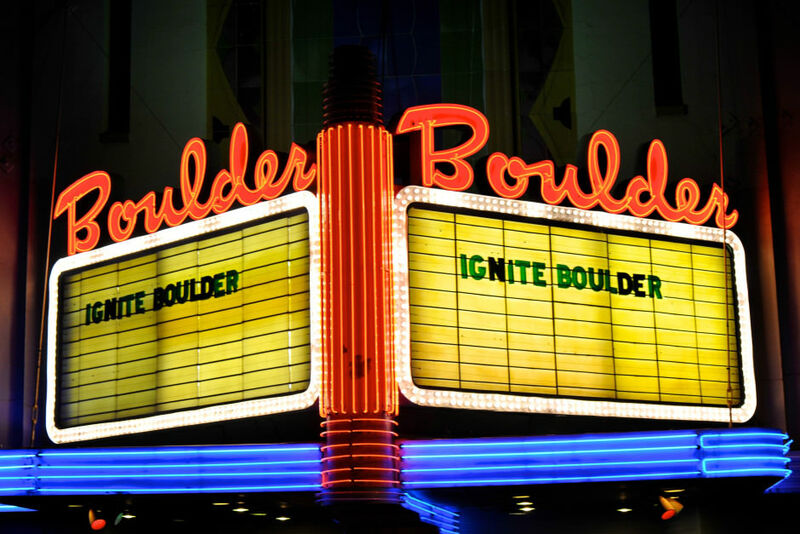 If you would like speak at Ignite Boulder check out the Our Next Event page to see if applications are open! Apply with the geeky passion you would like to teach the community about and a group of past speakers will collaboratively pick the next batch of speakers. 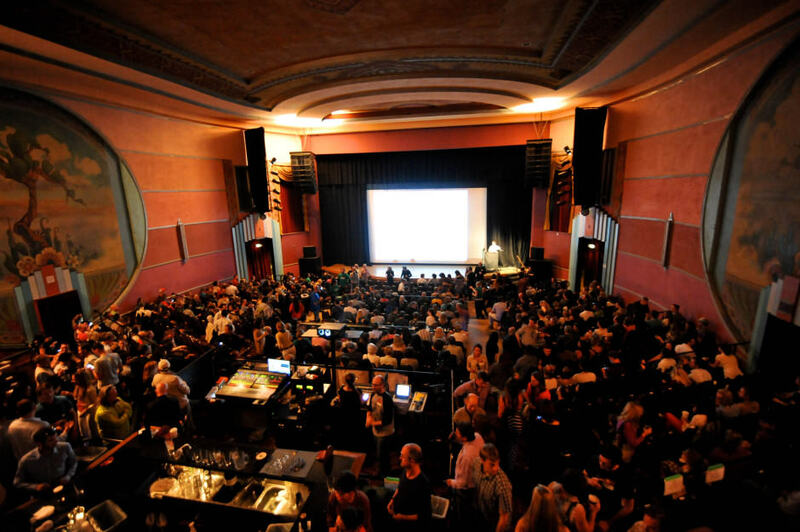 The rules for speaking at Ignite Boulder can be found here. We will inform you if your talk is picked by the date listed on the application. We have a few practices before the event so you can meet the other speakers and develop your talk! We put all our videos on YouTube so that you can watch them over and over. See them all here! Follow us on Facebook and Twitter! This is the best way to find out when a future Ignite is. Ignite Boulder is part of the Glider family.